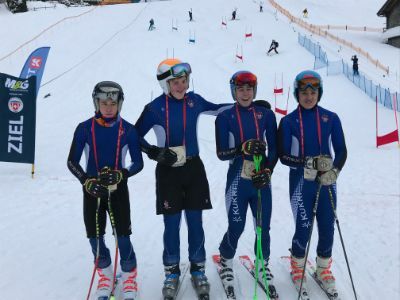 Our fantastic Ski Racing team have just returned from another successful trip to the 2019 British Schoolboys Ski Racing Championships. 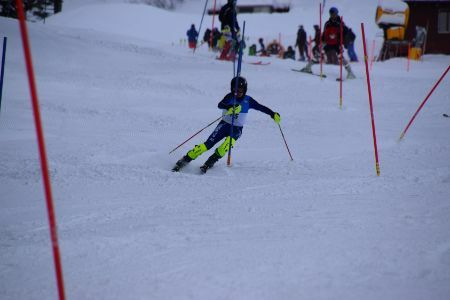 After a day and half of training all four of our teams performed superbly in the Parallel Slalom. Our 3rd and 4th teams battled it out in the U16 plate semi final with the 3rd team narrowly victorious to make the final. In the final our first skier fell leaving us with simply too much to catch up. Our 2nd team narrowly lost in the main competition semi final. Our U18 and 1st team did make the final after three rounds of superb skiing. While the Reeds team who eventually won the entire Championships proved a step too far, we were extremely proud of the silver medal in the top age group. 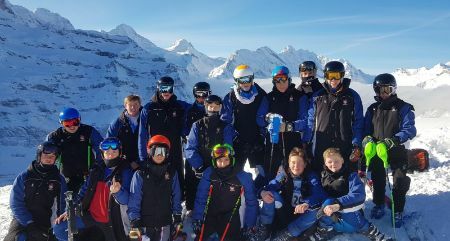 On day two of racing, both our U16 and U18 teams skied superbly on the World Cup Lauberhorn piste, into incredibly competitive third place positions after Giant Slalom. Backing these up were another eight boys skiing as individuals, with just one of these skiing out of a single run when his ski popped off in a rut. A very successful first day! The final day of racing saw the slalom course moved to a lower altitude due to storm force winds. Due to an injury to one member, our U18 team were down to three, meaning all had to complete both runs. Unfortunately on the afternoon run, and just a few gates from home, one boy crashed . This left the U18 team out of contention. 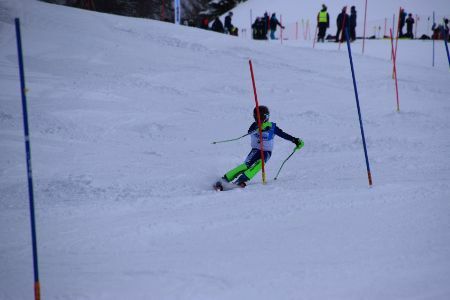 However, our U16 boys continued to excel with all racers safely down both runs. Silverware at prize giving was pleasing with Noah Smith, Federico Baroni, Hamish Ellis and Jack Nunn winning the Parallel Slalom Silver medals. Archie Wright and Jimmy Shepherd winning bronze and silver respectively for unregistered U16 combined times. 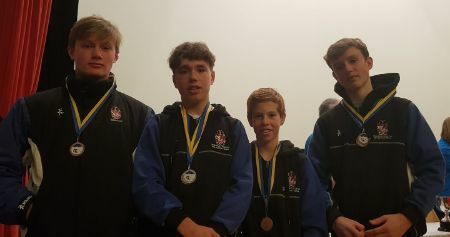 The highlight though, was doubtless our U16 team’s bronze team medals as third best team nationally for combined Giant Slalom and Slalom times. This includes both registered and unregistered teams and we were only beaten by Aiglon and Reeds. Huge congratulations to Jimmy Shepherd, Archie Wright, Jacob Crowther and Niccolo Smith. Team List: Noah Smith (Captain), Conor Burke, Federico Baroni, Hamish Ellis, Samuel Fleming, Jack Nunn, Jacob Crowther, Jimmy Shepherd, Archie Wright, Oliver Boardman, Oscar Howley, William Thariyan, Christoffel Konijnenberg, Leo Sterz, Leo El Asmar, Niccolo Smith.